I absolutely love sweet tea. Growing up in the south and living next door to my grandmother, sweet tea was life. I didn’t even realize that unsweetened tea existed until I was older and I will never forget trying it for the first time. My first reaction was “This is horrible; who would actually drink this?” To this day I am still amazed at how just a little bit of sugar can make something that is so bitter actually taste so amazing. I am learning more and more that life can take a toll and leave a bitter taste in our mouth. 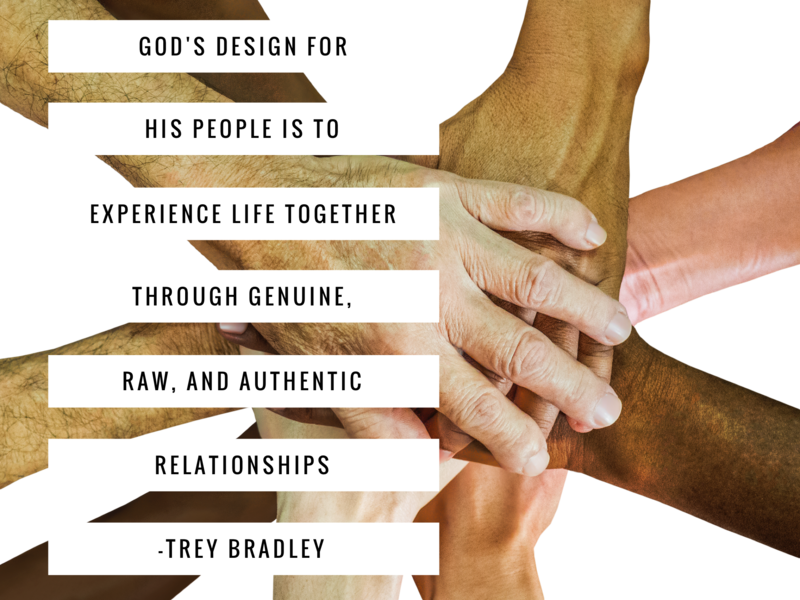 This is especially true if we try to do life alone because God designed us for friendships. Sometimes the best remedy for a bad day is the presence of a true friend and can help us get through even the most heartbreaking circumstances. When we have loyal friends who walk along side of us and have our backs through thick and thin, we live out God’s design for His church. We truly are better together. The truth, however, is that maintaining friendships often takes work and we must be intentional about treating our friends in a Christ like way in a culture that is often self-focused. So how do we do that? Here are a list of three practical things you can do that are vital when it comes to maintaining healthy friendships. Listening is so important when it comes to friendships and we often fail miserably in this area. This is especially important in our current political climate where we often disagree with even our closest friends. I have seen many relationships suffer in the last few months because of people being quick to speak and slow to listen to each other. Listening helps us at least understand the other person’s perspective, even if we ultimately disagree with their conclusions. Also sometimes the best thing I can offer a person going through a tough experience is a compassionate ear. Sometimes it’s best to just shut up and listen! Being married has taught me this more than anything. Just being willing to listen to a person often shows them how much we care more than verbal advice ever could. Also when I say listen I really mean listen to what they are saying. I have often been guilty of thinking about what I am going to say in response more than actually listening to what a person is saying to me. Many friendships come and go but the one’s that last are where we listen more than speak. Another vital aspect of friendship is learning to be present. To actually be aware and alert to the needs that your friends may be dealing with. I know that there have been times where I may be physically in the same room as my wife but not present with her often distracted with stuff on my mind or just being occupied with my phone. I have often been in a room full of people and noticed that nobody is even looking at each other because of being distracted by their phones. For true friendships to last we need to put away the devices and actually have face to face conversations with each other where we are present in mind and body. This is a reflection of the relationship we have with Christ as He is present and cares for us. Finally, we need to be real with each other and take off our masks. That’s right no fake stuff! This is difficult because it would require us to be vulnerable with others and that is a challenge for many especially those who have been hurt several times. Hey look I get it! You have opened up to friends in the past and they took advantage of it by stabbing you in the back. Unfortunately, too many of us have a story like that. However, the enemy would like nothing more than for us to isolate ourselves and bottle up who we truly are or feel like we can’t share our struggles with brothers and sisters in Christ. 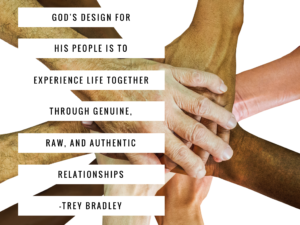 God’s design for His people is to experience life together through genuine, raw, and authentic relationships where we accept one another yet sharpen one another. This is impossible unless we are real with each other. It’s really special to have a person or persons who we can lean on in times of need who will allow us to vent frustrations and at the same time provide accountability. We all need people in our lives that we can be around and it be ok that we are not ok. The question is are you providing that kind of friendship for your friends and are you willing to be transparent with them? There is unspeakable freedom when we take that step and be real!